The new iPhone models offer subtle system haptic feedback when performing various actions in iOS. This physical haptic feedback is performed through the Taptic Engine built into iPhone, and you’ll notice it throughout iOS when activating different features, toggles, buttons, and functions. You’ll find system haptic feedback when opening Notification Center, Contrl Center, toggling UI switches, opening Spotlight, using onscreen zoom, when scrolling through date and number pickers, refreshing Mail, activating the arrange app icon or delete apps feature, and more. Some users may not like the system haptics on iPhone however, and may prefer to turn this feature off. You’ll immediately feel the haptic feedback has been disabled because flipping the OFF switch will no longer offer a little physical sensation. If you don’t see the setting option to toggle system haptics on and off, it’s likely because you do not have an iPhone 7 or better. The system haptics feedback feature is generally quite nice and most users like the sensation of physical feedback when adjusting various onscreen elements, but for those who don’t or aren’t quite sure, it’s easy to toggle the setting off (and back on again if you choose to re-enable haptics again in the future). It’s fairly likely that haptic feedback will come to other iOS devices in the future as well, including iPad and maybe even the Mac Touch Bar, but for now it’s predominantly an iPhone and Apple Watch sensation. Perhaps you could have explained what haptic feedback is? Haptics are the sense of touch. Haptic feedback in iOS is basically a tiny vibration from the iPhone that is mildly felt during various things. It’s subtle, you sort of have to experience it to understand. A lot of Android phones have had similar haptics for many years, it usually feels gimmicky but iOS implements it a bit better. Haptics are more like pulses, similar to a heartbeat. So similar that the digital touch feature in early versions of watchOS (now part of the messages app and also available in iOS) uses haptics to simulate a person’s heart beating. I agree with John. Not everyone is IT word related/acronym savvy. How about a quick description each time you suggest a ‘How to’? No idea what Haptic is!! A haptic is a very short vibration, basically a pulse similar to a heartbeat, emitted by a tiny component called a haptic engine. Apple first introduced this technology in the apple watch and then later brought it to their mobile phones starting with the iphone 6s, where in many cases the usual vibrations have been replaced by haptic pulses. An example of this is the ring/silent switch located on the left side of all iphones. 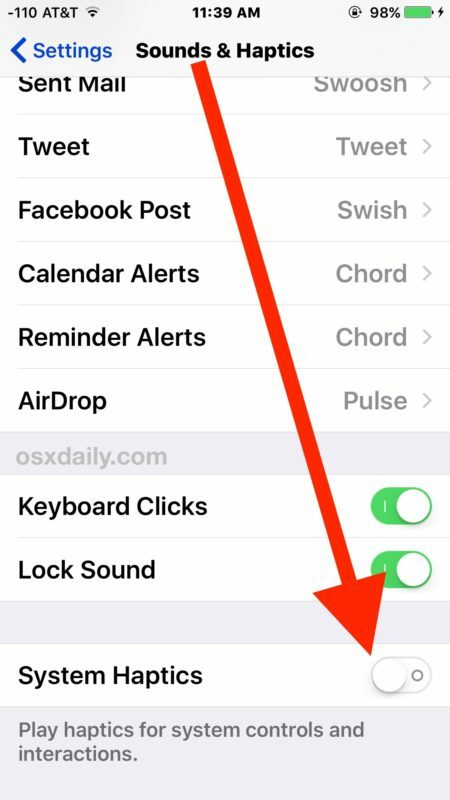 Previously, the iphone vibrated when the switch was toggled to silent mode. 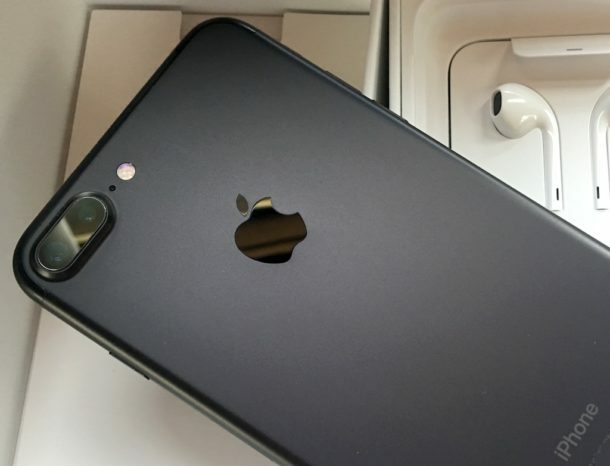 Now, for the iphone 6s or later running iOS 10 or later, the vibration has been replaced by a haptic pulse. Sorry it’s taptic engine, not haptic. SORRY, I meant ‘I agree with Paul! Who cares ! Maybe you should do your homework and visit the Apple site and the Google site to get the information you need to understand Haptics. Also you don’t need to use double exclamation points or Caps to make a point. So as you criticize the author for your shortcomings you also ignore net etiquette and display your inability to be in a discussion with good manners. I agree that perhaps a brief 1-2 sentence explanation of haptic feedback might be helpful. However what we don’t need is the long-winded drawn out explanations that have been standard in OSX Daily articles in the past. I appreciated the brevity and succinctness of this article. Is there anything else you’d like with your porridge Mr Goldilocks? “One more thing …” It would have been helpful to state up front that this only applies to iPhone 7 and above. I actually looked for this on my 6s! You’re right and it’s weird because the 6s has haptics too so why not let the user be able to toggle them on or off? I have had mine “off” – exactly as you describe (I have even gone to the settings page several to make sure the toggle is off), but the haptics are STILL working. Ugh they are so annoying. I wonder that there is something wrong with my phone? This has worked for me for almost everything, but I still get haptic feedback from pressing the Home button. Is there a way to stop that too? Hey “LEMON” I find it ironic that you started your post with “Who Cares”! but then end it by telling someone else about having the inability to be in a discussion with good manners. I think we are all just trying to find out information & maybe not everyone knows where to go to get the info ….hence we land here. I appreciate you giving a website to refer which was helpful but your delivery wasn’t very friendly.